Last month, I returned to Baltimore for the National Ocean Exploration Forum. While there, I paid a visit to my old friend, Mr. Trashwheel. 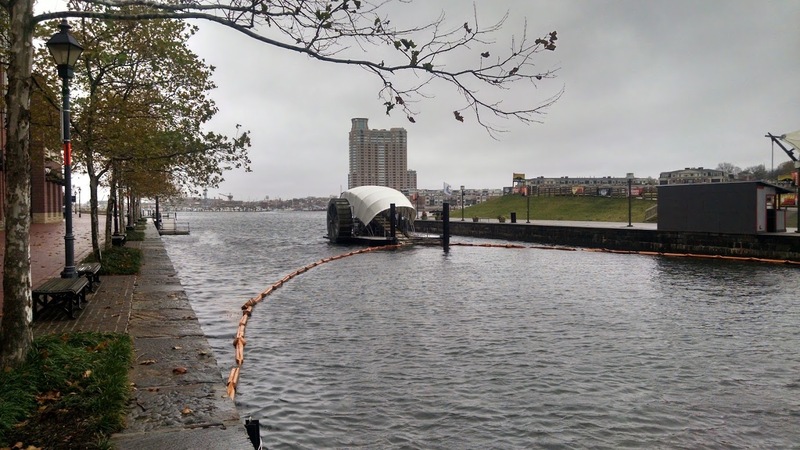 The Inner Harbor Water Wheel is in its second year of operation, cleaning up the Chesapeake Bay to the tune of up to 50,000 pounds of trash per day. I have written about this cool piece of engineering and ingenuity several times. So why do I keep writing and revisiting this project? We swim in a sea of ambitious ocean engineering projects, seemingly designed to save the world. Every month brings new projects and new promises, from the mundane to the unimaginably ambitious. Trumpets, fanfare, media blitzes, and breathless press tours are followed, more often than not, by silence. They ebb and flow like the tide, promising everything, delivering nothing. The pattern is so predictable, that I almost hesitate to promote any bold new plan without serious vetting. It’s the driving reason behind why I launch the Ocean Kickstarter of the Month series–to give us just a little bit of guidance. Mr. Trashwheel is different. It didn’t appear out of nowhere. It grew from years of prototyping, testing, development. The first trashwheel floated away, overwhelmed by the tides of trash entering the Chesapeake Bay. But they persevered. Years later, Mr. Trashwheel stands tall, the most visible, perhaps the only, successful engineering-based ocean cleanup project, tried and tested. The Bay is cleaner. The removal of hundred of tons of trash has had a tangible impact on Bay health. We know this because Mr. Trashwheel is accountable. The Healthy Harbor Initiative has a goal, and they are carefully monitoring their projects to ensure that they will reach that goal. That their social media presence is so good I use it as the prime example of good local outreach for my Environmental Communication course is just icing on the cake. When we look towards grand schemes to save the ocean, whether it be via human behavior, regulation, or engineering, we should remember that for all the pomp and promise, the greatest single success is still a humble barge, scooping garbage from the Chesapeake Bay. I thought you came back to Baltimore to visit your family.